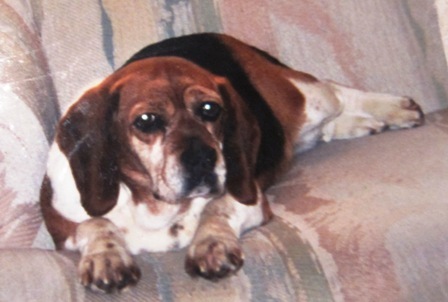 "When we got her from an ad in the newspaper, it said she was a 5-7 years old, beagle. After we adopted her and took her to the vet she did an exam on Roly Poly, and she said she could be as old as 8-10 years old. What's the difference? 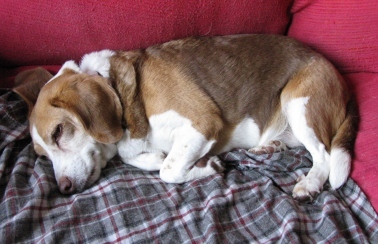 She was the cutest, little, old beagle ever. Was she 5-7 years old or 8-10 years old when we got her? No matter which one she lived a great long life with us. No one will ever replace her and I volunteer with Midwest BREW in her honor to help save beagles in need of homes no matter what their ages. They all deserve a second chance especially the forgotten older ones. And I bet that if you pick that old looking beagle it will become the dog of your lifetime and give you unconditional love for picking her/him." "The reason I chose to adopt a senior dog was because I have adopted older dogs before, and it is great to have a new dog come into your home, they are already house trained and know house manners. When adopting from a rescue and the dog has been in foster care, you can talk to the foster parents about that animal to learn their routines to see if they will fit your home. When I adopted Hurley, he was guessed to be 8 to 10 years old, and was laying around or sleeping in most of his pictures. I was looking for a quiet dog that would get along with my other two dogs. From the day I picked him up, Hurley has been perfect. He loves children, he loves visiting everyone I work with, he even loves going to the dog park. My 6 year old niece loves to visit with him. He always has to be by my side every waking minute. He even likes to play a game of chase when I get home from work because he gets soo excited. I can not say enough good things about my old man Hurley beagle. I thank god every day for him. He is the best little dog ever. Never overlook a senior dog, he may become your very best friend." 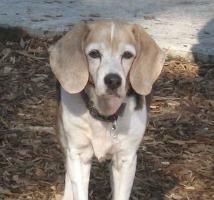 "In the last eleven years, I have had the honor of adopting three senior beagles and also fostered quite a few others. My house is known as the Taillon Senior Beagle Retirement Home by my friends and family. I recently lost two of my seniors within five weeks of each other and it was pretty devastating. While there are still three beagles over the age of 8 in my home, only one of them currently is mine. The other two are fosters. When people ask me if I will adopt again and the answer of course is yes. When people ask me if I would adopt another senior so soon after losing my two, the answer is ABSOLUTELY! There is nothing like a senior beagle. They are so grateful that you have given them a second chance (or sometimes a third or fourth, who knows...) and their love for you is unmatched. You can see into their souls when you look in their eyes. 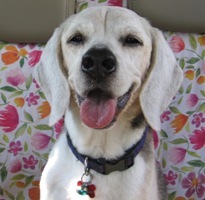 Puppies are wonderful, as are adult beagles, but there is something special about the seniors. Seniors ROCK!!!!!" 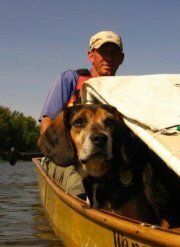 "Paul and I had been fostering young beagles for Midwest BREW before we got Beemer as a foster. His bio said that he was 8 years old and we just couldn’t believe that. He looked like a puppy and was more active than Wyatt, our 2 year old beagle. Beemer would not really sit still until about 8pm at night before would crash on my lap. We took him to the vet for his heartworm check-up and asked him to confirm his age. “Yes, he is 8, those are some very geriatric teeth”, said the vet. Oh well, that just made him even more wonderful. To be a senior dog, but so full of life, he just melted our hearts. Plus, he came potty-trained and already knew a few commands. His transition into our household was a breeze. I would take him to adoption events and everyone would be drawn to him because he was so dang cute and had a great personality, but as soon as I said his age, I could see the wheels spinning: “He’s too old”, “he won’t be with us very long”, “he’s cute but what if he gets sick?” and “how much is he going to cost”. I would tell Paul about the events and we were disappointed for him; disappointed that no one could see past his age even though everything else about his personality screamed, “I’m a keeper!!”. He wouldn’t bark, kids could do anything to him and he would sit calmly and he would wiggle his whole body hoping for someone to pet him or give him a treat. After much consideration, we knew that this “senior” had to be a part of our family no matter how much time we had. We couldn’t imagine life without him so he permanently joined our pack. He was a perfect fit with our then 12 year old beagle, Quincy, and young Wyatt. He respected Quincy’s space and loved to play with Wyatt. Paul and I have now had Beemer for over four years. He may have lost some more of his “geriatric” teeth and is a little slower, but he’s never lost his zest for life, hugs or TREATS! We have had a new addition to the family and at 13 years old he’s keeping up with the young whipper-snapper. We have never regretted our choice of a senior dog and sometimes feel sorry for those who passed him by. It has been so rewarding to know that even though our time with Beemer may be short, it has been full of laughs, joy and love. Can you ask for more than that of any dog, no matter the age?" 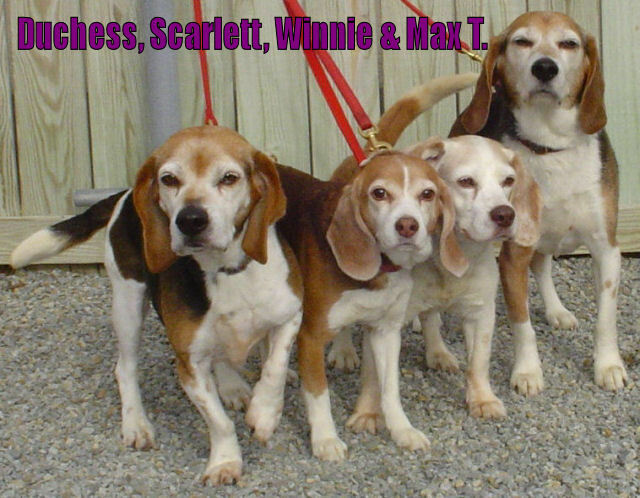 "I have owned 4 senior beagles over the years and really prefer them to the youngsters, regardless of how few years they have left. 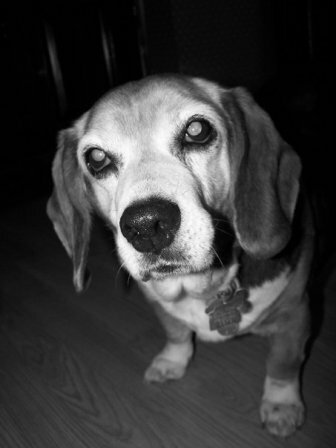 My first beagle became a senior while we were together and as he got older he was such a "little man" that he stole my heart every day. They have a kind of regal energy that when you look at them you feel their peaceful nature just emanating all a round them. My other 3 seniors I adopted when they were 12 and older. One actually was 15 when I got her..abandoned by her own family because "they were moving". She lived to be almost 17! She was the sweetest little girl who never made a peep unless there was food coming of course! I would never go back to younger beagles. I prefer mine to be over 10 years old. I feel that they have a wiseness that brings joy to my life just knowing that they enjoy every moment they have left. It is something in my heart that just feels drawn to them. I never ever once worried that I wouldn't have enough time with them and that they would break my heart when they leave, because that is a given at ANY age, what I wanted was to know that I could help them live the rest of their years happily and well cared for and in return their gentle expressions and loving TV snuggle time is all I wanted." "When I finally had a house with a fenced back yard I decided it was time to look for a dog. Knowing I didn’t want a puppy I started looking on line. At my vet’s office one day I picked up a local pet’s newletter and was thumbing through it – near the back were doggy ‘personal’ ads! I was drawn to a small picture of Nana and by the time I’d read her listing, I pretty much knew she belonged to me – she had me at ‘some of her favorite activities are eating and naps’ – we were made for each other. I liked the fact that she was an older dog – around 9. One, I felt good about giving an older dog a home of their own, and two, I really wasn’t up to a very active dog that needed lots of hands on time and attention to train/wear out. After several discussion with her foster mom, and a home visit from BREW Midwest I was cleared to adopt her. She was at home from the moment she came in – she checked out the food and water situation, gave a passing glance to the cats (who were all wide-eyed with a what in the heck have you done look), and found the softest spot in the living room – stretched out on the couch. She was just the easiest dog – no separation issues, no bathroom issues, just happy to be here and quickly in charge. She would eat anything food related she could get ahold of and then give me look like ‘WHAT – if it wasn’t meant for me why was it shoved to the back of the counter with a box in front of it to block my view?? ?’ It was a perfect match for both of us – I had to be gone to work all day, but she slept all day. I never worried that she was bored or getting into things (unless there was food left in inappropriate places – then she was in to it!). We’d take our walk, spend a little quality time, and then it was back to sleep for her! Sadly, Nana developed cancer after I’d had her a little over a year. We tried the chemo route, which she seemed to tolerate fairly well. The tumor was shrinking, but unfortunately the effects of the chemo were too much for her and she didn’t make it. I cried more tears over that dog than all my other animals combined over the years. She had burrowed into my heart and will have a place there forever. People asked me how I could do it again – get an older dog with the very real possibility that I’d only have the dog for a year or two. It wouldn’t have mattered – once she was in my life, it was like Nana had been there forever – losing her after a year or ten years would have been just as hard. And even with a younger dog, there are no promises that all will be right with the world for 10 or 15 years or more. Nana can never be replaced, but I have two dogs now that have made their own place in my heart. They are now ten and about seven and are showing their age – but who among us isn’t? We are growing old together, maybe not gracefully, but together nonetheless!" "BREW Midwest introduced me to Clyde in 2006. When he crawled up and fell asleep across my feet during the adoption interview, I knew I had to adopt him. He was a senior, 8 or 9 years old, but there was never any doubt...I had been chosen. 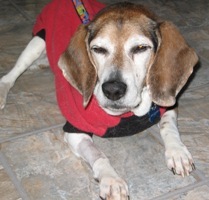 On February 13, 2012, Clyde went to the Rainbow Bridge. He was a GREAT dog! Unbounded loyalty and relentless joy. MY constant companion for these past years, we shared many an adventure together, including canoeing over 1500 miles of the Mississippi River with me during the summers of 2006 and 2007. His morning walks in the park, baying while chasing rabbits or squirrels, never failed to make me (or others nearby) laugh out loud. It was simply the sound of joy! He taught me so much about how little it takes to be happy. A truly great dog and unforgettable friend. Thanks, Midwest BREW, for bringing Clyde, his love, and his unmitigated and remarkable brand of simple joy into my life. See you at the Rainbow Bridge, my friend." 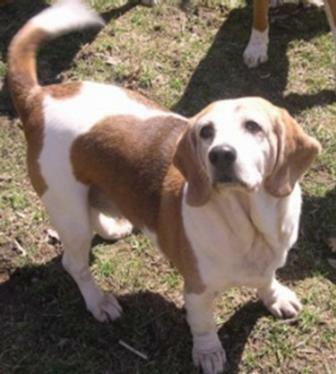 "Senior Beagle? 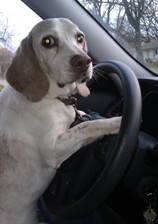 You'd never know that Macushla is a senior beagle! Bill and I adopted Macushla after we spotted her on the BREW Midwest website. we couldn't resist that "come hither" look that she gave in her photo. We were looking for an older dog as we know from previous dogs we have enjoyed, it is often difficult to find a permanent home for older dogs. Our e-mail conversation with her foster mom revealed that Maxine, her name in her foster home, really liked to walk and that was the primary characteristic in our search for a new pet. Macushla, Gaelic for my loved one, my precious, my pet, is aptly named. She is adventuresome, curious and yes, really does enjoy her walks. She takes us on at least 3 sometimes 5 miles a day hikes. These are not walks; she is a true beagle - follows her nose and loves to explore. After her walks, she enjoys her naps - don't we all? Macushla gets along well with other dogs, can always find food in any form - another typical beagle trait, enjoys meeting people and still gives that "come hither" look that says - there's more to me than meets your eye! We are very grateful that Macushla was rescued and lovingly cared for until we could find her. She is simply the greatest!"